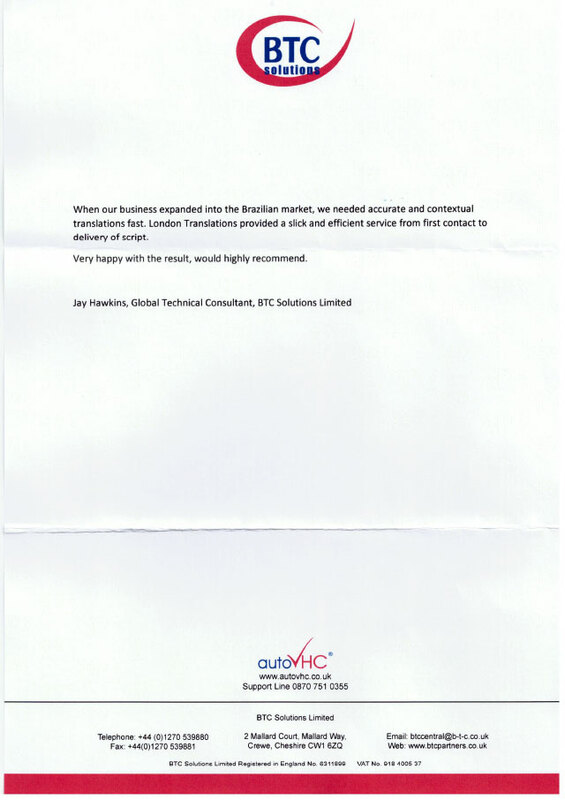 When our business expanded into the Brazilian market, we needed accurate and contextual translations fast. London Translations provided a slick and efficient service from first contact to delivery of script. Very happy with the result, would highly recommend.